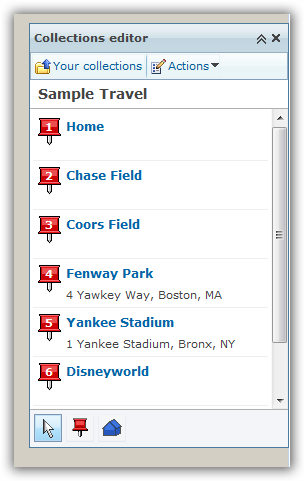 with the latest release of the maps.live.com site and virtual earth v6, there are some cool end-user features that you can take advantage of as well. 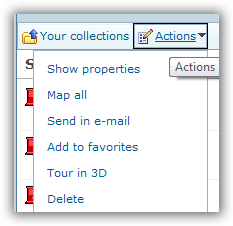 one of them is the ability to create a virtual tour of your collections (a collection is a group of waypoints you've saved in your profile. had i edited the properties of my waypoints with other metadata like a photo, notes, etc. they would have showed up in this area. you may also notice the play and record buttons on the bottom of that area. here's were some of the other sharing comes into play (note: i can click the share button to send someone an email link to the tour as well). 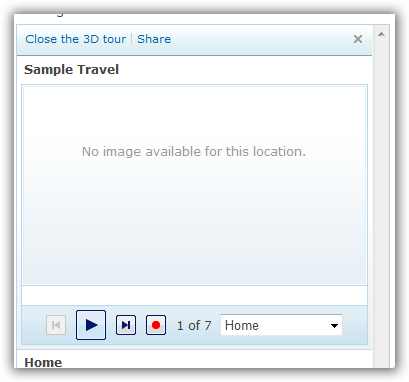 let's say i want a video of this location tour for youtube, soapbox or whatever...simple, use the new record feature to create a windows media video file of the 3d tour. when you hit record, it starts the tour over. now the recording takes considerably longer than the normal playback, but that is because it is recording the various frames and encoding at the same time to create the resulting file. pretty cool new feature i think provided by virtual earth and the live platform. go forth and create.